I started the new year missing my car, my lovely car. Trying to fill that void I’ve decided to go to the Baltimore Auto Show. Knowing that I’ll be walking among the cars I chose to match my new skirt with my comfortable 3.5” heels ankle boots which, as usually, had done their job letting me walk unimpeded. 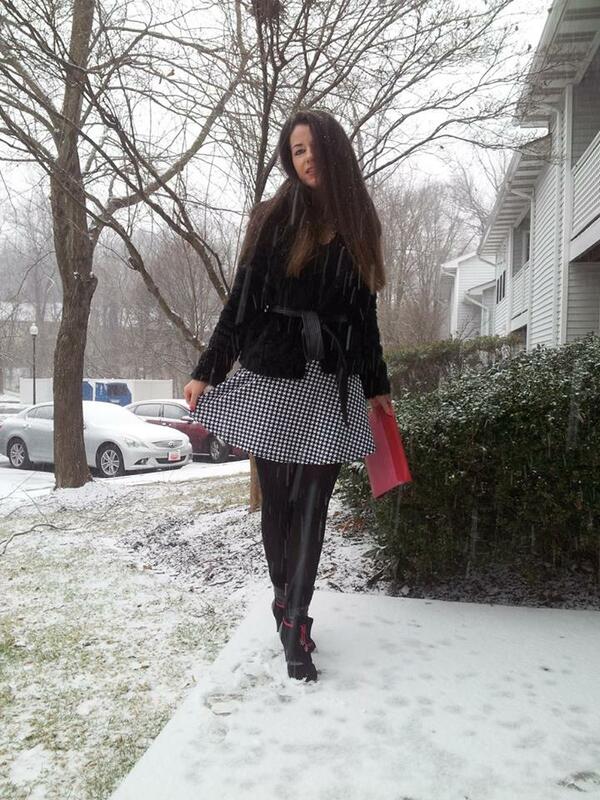 I love the snow in the winter and my black fur coat fits perfectly with the white snowflakes. I find it fascinating how in the USA it’s snowing but the sky is bright; it’s like everything is calling you out for a walk. 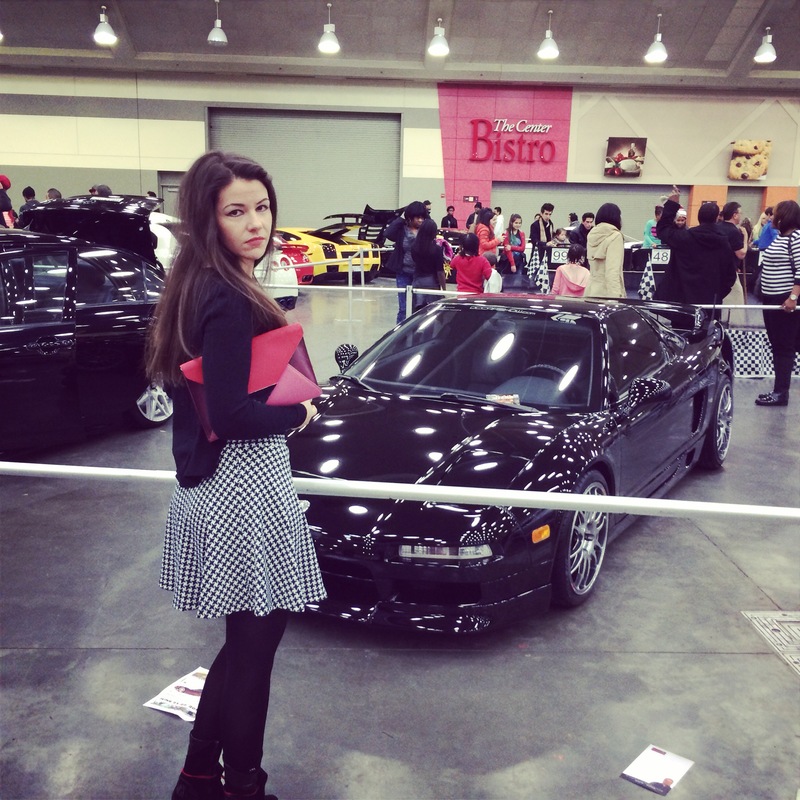 NSX – The car show would not be complete without her. OMG SO cute photos 🙂 your blog is always so fun and inspiring.